Many of us will lose a tooth or teeth at some time in our lives. It may be a single tooth resulting from trauma when we are younger or multiple teeth as we get older due to disease or a failing dentition. 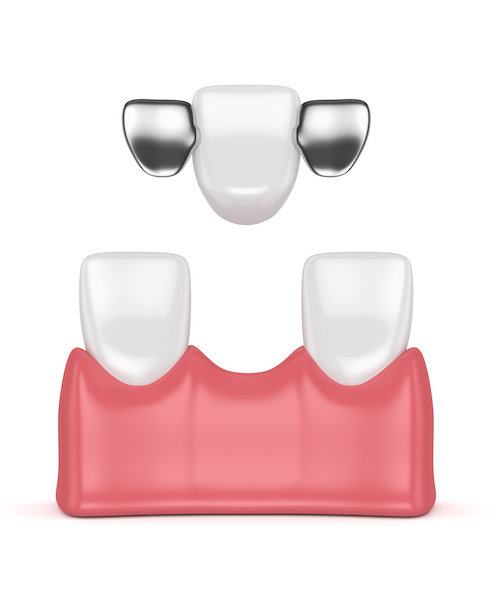 Traditional dentures often cover a large part of the mouth and may lack stability. Crown and bridgework can affect the teeth adjacent to a space and have a limited lifetime. 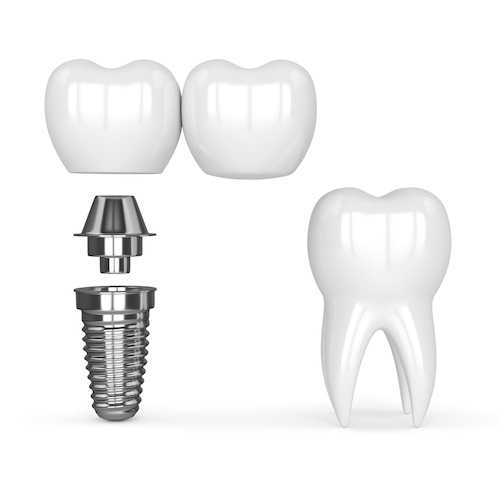 Dental implants are metal screws precisely made from titanium that are placed in the bone in a minor surgical procedure and can be used later to support crowns bridges or dentures. 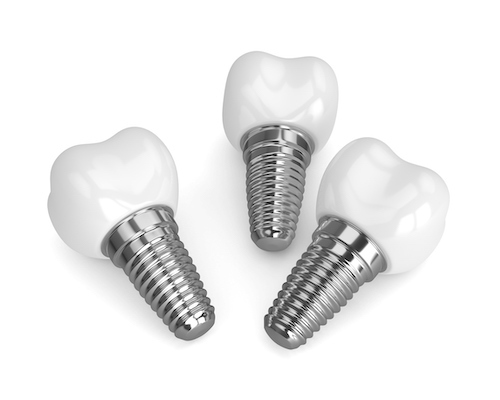 Dental implants commonly comprise three parts, the implant itself, the abutment and the crown. 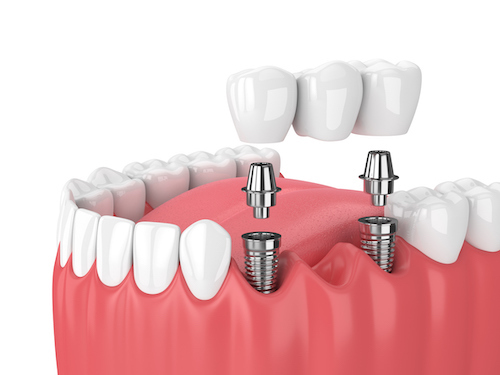 An implant can often be placed with a minor surgical procedure. Sometimes as soon as the tooth is extracted but also later, maybe years later. 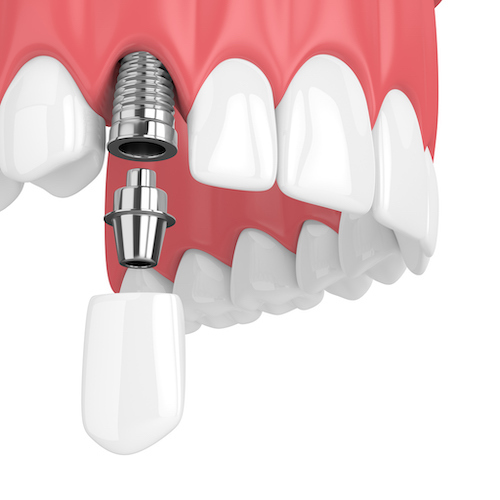 The implant needs a period of time to heal in the bone (called Osseointegration). Unless there are special circumstances this is typically not less than 6 weeks and commonly 12. 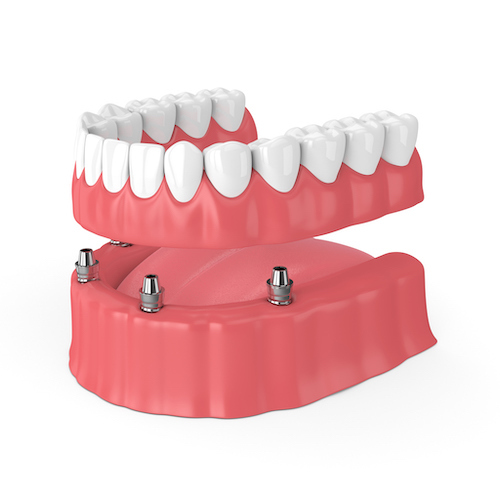 During the healing period patients may have a temporary crown, denture or bridge to enable the implant to heal undisturbed. 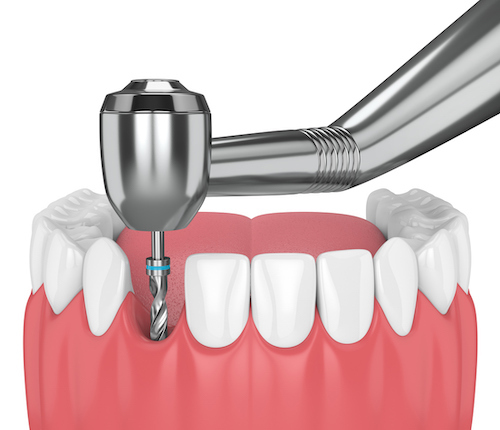 Once the implant/s has osseointegrated, impressions (moulds) are taken. 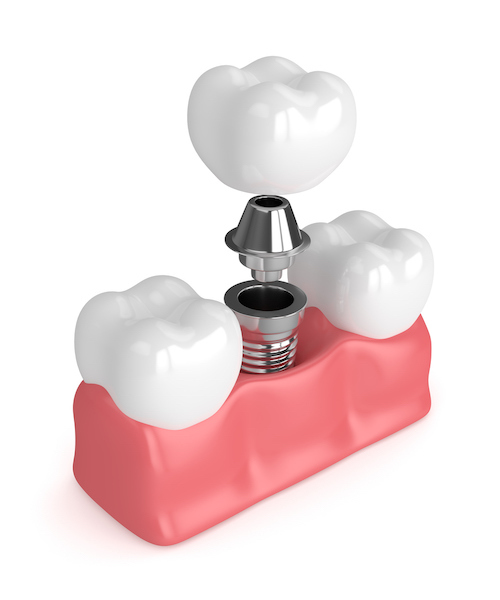 These are sent to the laboratory for production of the crown and abutment and these are usually fitted two weeks later.